We are offering Flute Laminator. We are offering Industrial Flute Laminating Machine to the clients.High efficiency, maximum speed up to 4,000 sheets/hour Cover affixed with a higher precision (±1.5mm). 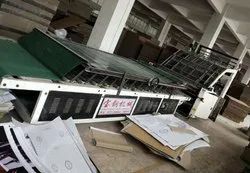 Cleaning and coating with water features can effectively inhibit the bending cardboard, cardboard to make a more smooth; internationally renowned brands of imported electrical control components, the output automatically, easy to manage; the Reasonable suction system has a better effect, to ensure more convenient use and maintenance. Flute Laminating Machine: At the end of the paper automatic transmission, low labor intensity, high efficiency.High efficiency, maximum speed up to 4,000 sheets/hour Cover affixed with a higher precision (±1.5mm). 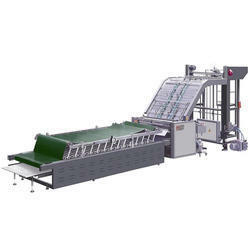 We are offering Flute Laminator to the clients. High-quality timing bell transmission, the machine quieter, more reliable performance; Planning ahead with the former alignment and function, are free to set the amount advanced, the user more convenient to use; Glue with a unilateral adjustment and automatic send gum, bottled water can also be recycled back the plastic. 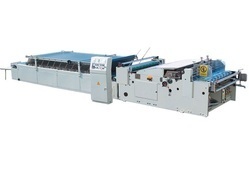 We are the leading supplier of Flute Laminator made available to our clients at competitive prices. Automatic Flute Laminating Machine can be applied for lamination of cardboard to cardboard, cardboard to corrugation paperboard. 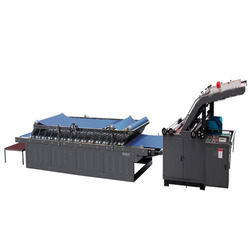 This machine is suitable for lamination of top paperboard to bottom paperboard above 350g.m2 or 2 ply board of A/B/C/E/F flute to from a corrugated cardboard. 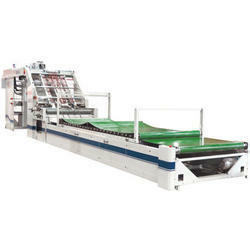 (Automatic feeding for bottom sheet and manual top sheet). 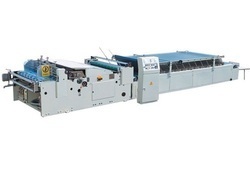 Looking for Automatic Flute Laminator ?